SPRING LAKE, N.C. (WTVD) -- Spring Lake veteran Wilbur Amos says he grows weaker by the day awaiting a surgery that would fix his three excruciating hernias. Some days are worse than others for Amos and the symptoms vary, and Amos said he's worried one day he'll inadvertently twist his bowels and die from septic shock if he's not treated with surgery soon. Amos' long and agonizing wait for surgery comes as a result of two mix-ups on the part of the Fayetteville VA Medical Center, and the national initiative for providing veterans' with timely medical care, the Veterans Choice Program. 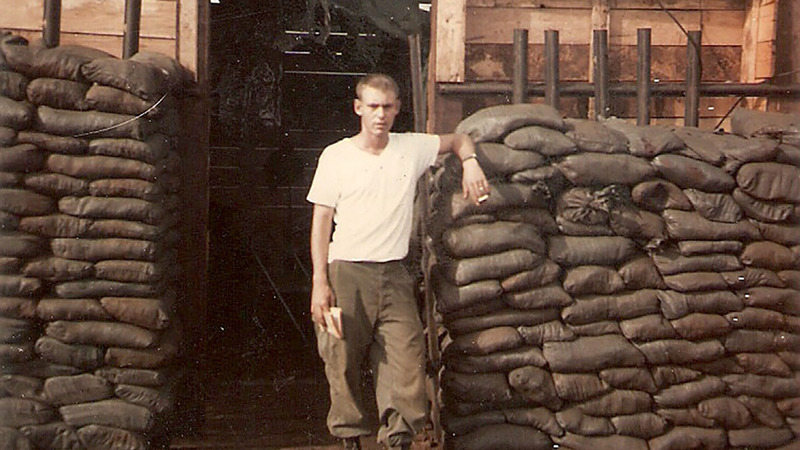 The program is well over a year old now, but veterans like Amos, a retired U.S. Army staff sergeant who served for 24 years and fought in the Vietnam War, are questioning if the program is really working as he is still suffering for months waiting for care, unsure of what the process is to find help faster. Amos said he's never had an issue before with the Fayetteville VA Medical Center in scheduling other appointments such as eye exams, but he said he's now absolutely fed up. "I have one outlook in life; that if I have to do someone else's work and they're getting paid for it, I don't think that's right. It angers me greatly," he said. "I have done everything I can do to make this work and it has not worked." Amos said he contacted the Fayetteville VA Medical Center in September of 2015 after he woke up in terrible pain one morning and went to an urgent care. 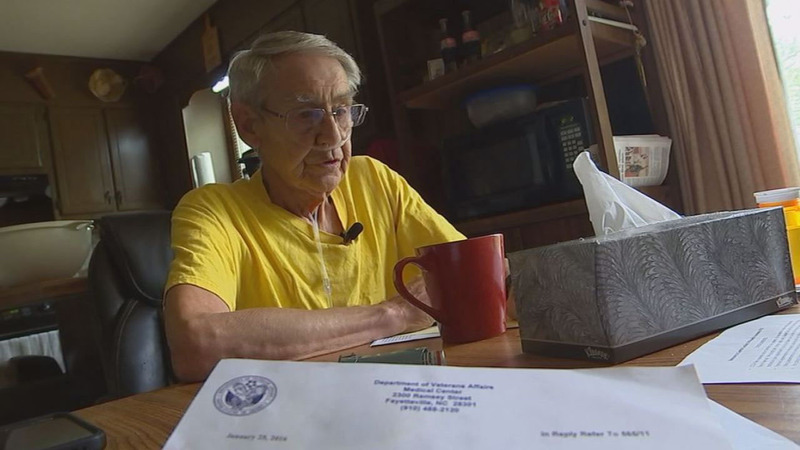 He says a doctor at the VA diagnosed him with the three hernias, but the VA surgeon was unable to operate since it could not be done at the Fayetteville VA. In December, Wilbur says he was approved for surgery and he was scheduled with a Choice community provider to have the surgery in March. When Amos arrived for his surgery, he says he was turned away at the reception desk. "I went to the appointment and was called back to the counter after I sat in the waiting room," he said. "I went up and she said I'm sorry there has been a problem. Your appointment has been canceled. We no longer accept Veterans Choice." Amos was left waiting in pain. Through the Veterans Choice Program, Wilbur was set up for the surgery in April with another provider. But upon arriving at the appointment, Amos discovered that provider couldn't do the surgery either, as it was an orthopedic clinic. "I don't know who would send a person for surgery at an orthopedic clinic," Amos said. "That strikes me as inept." Amos reached out to me after he says he was unable to get the Fayetteville VA to set up another appointment. "If you can get them to move on this at all...I mean I'm at my wits end," Amos said. After I reached out to the Fayetteville VA on Amos' behalf, they contacted him to schedule another appointment. He is now set up to see a correct surgeon at the end of May. Amos says he is relieved, and can't believe the quick action once I got involved. "When you got involved, it got straightened out," Amos added. In a statement, the Fayetteville VA admitted to the fact that Health Net, the company that handles the Veterans Choice Program, mistakenly scheduled Amos with an orthopedic doctor, but said it had no record of the first mistake. "It is our honor and responsibility to serve the veteran community. We strive to provide excellent service to every veteran, every time. However, unfortunately, there are times when veterans may not get the care they need when they need it. For that, we take responsibility and apologize." While Amos' troubles with the VA are undoubtedly distressing, they are not unique. In the months since the installation of the Veterans Choice Program, veterans tell me they are still left facing many frustrations with the program. Government agencies such as the U.S. Government Accountability Office (GAO) and the VA's Office of Inspector General have brought to light some of the major issues with the Veterans Choice program. The Veterans Choice program was initiated in 2014. It was Congress' response to the discovery that the VA was concealing the wait times of some veterans needing prompt medical care. The program was meant to alleviate some of this wait time by setting veterans up with private providers. However, the $10 billion dollar program was implemented within a 90-day time-limit - a deadline that some say was too short for such a large and complex program. According to data released by the VA, as of May 1, 2016, there are around 70,000 more appointments keeping a veteran waiting over a month to get care than there were last year. The Durham VA alone has seen that number increase by more than 1,800, while the Fayetteville VA has seen the number drop by about 900. Furthermore, an investigation conducted by the GOA found that data provided by the VA continues to be faulty, failing to measure veterans wait times in a comprehensive and transparent way. Instead, the VA's data measures wait time from the moment a veteran is contacted by the VA to schedule an appointment until the time when the veteran sees a provider - not from the day in which the veteran initially contacts the VA about his or her need to see a provider. Since his first contact with the Fayetteville VA in September, Amos will have waited 9 months for surgery by the time he finally sees a provider at the end of May. He said that from the beginning he was warned that getting the care he needed from the VA would be a difficult process and until he reached out to me, Amos said he hadn't been able to find an advocate who could help him. He says he's now thankful and relieved his surgery is scheduled as he just wants to stop suffering in pain. "Not only did you straighten out my situation with getting a surgery scheduled, but I know have better communication from the VA. Thank you."